​The Honda-owned race course at Suzuka has emerged as one of the world's most demanding and rewarding motor racing circuits, packing a mix of almost every type of corner into a remarkably small space. Drivers rate it highly, mainly because it is one of the few circuits these days which still has challenges to throw at them. It has also gained world recognition because of its unusual figure-of-eight layout, which has spawned countless Scalextric imitations! Plans for a racing facility among the paddy fields outside Suzuka City were first laid in the early 1960s by Soichiro Honda, founder of the car and motorcycle manufacturer. The company had begun racing in Japan in the early 1950s and internationally by the late 1950s. Mr Honda saw racing as the perfect test bed and promotional tool for his products, but Japanese infrastructure lagged behind the Western world, with few paved roads and fewer still permanent racing facilities. The solution, therefore, was to build their own. Land was purchased for this purpose in 1959 and construction work began the following year. Mr Honda had penned an initial circuit layout based around a lake complex. The circuit was flat but likely to have been fast, thanks to several long straights. Yet somehow, it didn't seem quite right. In typical fashion, Honda was keen to produce a world-beating venue and realized he required additional expertise to realize his ambitions in full. So it was that one day in 1961 Dutchman John Hugenholtz, who had designed the Zandvoort circuit, received a telegram out of the blue. It read simply: 'I'm building a circuit. Please come to Tokyo, Soichiro Honda'. Hugenholtz's son, sometime GT racer Hans, takes up the story: "My father went there and had a number of staff to help him and was given the plans of a large site. There was a 3D model of the site as well. As there were quite a number of hills and existing roads between the rice fields, he made a design that would give the least amount of earth to be moved, including the cross-over which was, and is, very unusual for a circuit. However, my father's opinion always was that a racing circuit must have a combination of different corners and challenges, so a cross-over was certainly possible." Indeed the first plans included not one crossover, but three, with the track zig-zagging around itself after the first few corners, with a complex of hairpin bends on the site of what is now the famous 'Esses'. "After the first sketches were made, they went to inspect the site with Mr Honda by helicopter. Once over the site, my father's first thought was that almost any design in that area would be impossible because of the many rice fields. But Mr Honda said: 'Tell me where you want the track, and we'll sort it out'. "So my father went back to the Honda office, made some changes and two or three days later they had another visit to the site. Where the new track was planned, all the rice fields had been bulldozered away! The local farmers had been paid off by Honda and been given other sites for their fields." Final designs included only one cross-over and the completed circuit opened for business in September 1962. Among the first car races at the new venue was sportscar 'Grand Prix', won by Peter Warr in a Lotus 23. Warr would later achieve more success as Lotus team manager. During the first motorcycle events at the circuit, East German rider Ernst Degner – who had defected to Japan to ride for the Suzuki teams – was seriously injured in a crash at fast corner prior to the bridge underpass. He received serious burns – thankfully from which he later recovered – but the Japanese named the corner after him in an act of thankfulness that the consequences weren't worse. World Championship motorcycle racing came and went in the 1960s (in tandem with Honda's participation) and Suzuka settled into its role as principle test venue for Honda's two and four-wheeled machines. Formula Two races became the major events, alongside the famous Eight Hour endurance motorcycle event, which began in 1978 and became massively important for all of the domestic Japanese manufacturers. The only significant change to the circuit itself during this time came in 1976, when a wall separating the pit lane from the track was installed. Into the 1980s, Honda was keen to see Suzuka emerge as a world venue once more. Fuji's emergence, albeit briefly, onto the F1 calendar, plus Honda's push for top level racing in two and four wheels only served to increase this appetite. In 1982, Honda re-entered the FIM world championships and Suzuka was included on the calendar for the first time. After one year, a program of renovations commenced, with the ultimate aim of also getting Suzuka added to the Formula One calendar. The first change came in 1983, with the installation of a chicane prior to the last curve. The increasing speed of cars and the lack of run-off at the final corner had been causing concern for some time. Additionally, armco barriers were installed at additional points around the circuit and increasing run off at others. The following year, more drastic changes came when the Spoon Curve section was completely re-aligned to create a large run off area for the first time. It also required some remodeling of the exit of the 200R curve to blend into the new section. Similar changes to create more run-off were made at the first corner for the 1985 season, with a short straight now connecting the first and second corners which were moved inside of their previous radii. Much excitement was created with the announcement that Suzuka would indeed be included on the Formula One calendar from 1987. New pit buildings, medical facilities, a heliport and a refurbished control tower were installed in the off season, while extensive modifications were made to the Degner Curve in July after the conclusion of the Eight Hour race. These saw the corner squared off, becoming two sharper bends connected by a straight, while the hills surround the corner were also re-profiled to aid visibility. The changes allowed the installation of a large gravel trap for the first time. Elsewhere, a secondary pit lane and garage facilities was installed on the straight between Spoon Curve and the 130R, for use when the West Course was in action. There was much anticipation for Suzuka's first F1 race – so much so that grandstand tickets had to be allocated by lottery. Suzuka quickly became a popular race at the end of the season and was often witness to high drama; think of Mansell's practice crash during the inaugural race which ended his championship bid, or the collisions between Senna and Prost in 1989 and '90. Most of these controversies result from the race's traditional role as title-decider, with Piquet, Senna, Prost, Hill, Hakkinen and Schumacher all celebrating world title successes here. Minor changes occurred in 1991, when the chicane was moved closer to the final corner and a new pit lane entrance inserted, which saw competitors dive off to the right immediately before the new chicane and take a slightly tortuous route around the perimeter to the pit lane. After 10 years, the pit lane entry was restored closer to its original position at the mid point of the final corner. In 2001, the first phase of a program of upgrades began to ensure Suzuka's continued place on the F1 schedule in the wake of fresh interest in the event from Fuji Speedway. Honda pledged £18 million for circuit alterations and facility improvements, the first of which involved the re-profiling of the Esses and Dunlop corner sections. To create room for more run off, perimeter walls were moved back and the corners moved inside their original locations. Following a huge crash at the 130R involving the Toyota of Allan McNish during qualifying for the 2002 race, urgent changes were made to improve run off at this section of the track. The high speed corner was be re-profiled into a two-radii sweeper; the first part with an 85 meters radius and a second half radius of 340 meters. This provided a faster and more sweeping corner which turned in sooner and also removed the bump in the center of the corner which unsettled cars. Allied to these changes was the installation of a new chicane, closer to 130R, which was used for car racing. Plans were announced for a second ancillary chicane to be added for motorcycle races, but in the end the original chicane was retained unaltered for the two wheeled brigade. Sadly it was at this point that Japanese MotoGP star Dajiro Kato was killed when he high-sided on the approach and was thrown from his bike into the retaining wall. MotoGP dropped the circuit from its calendar as a result, citing safety concerns, though the popular Eight Hour race continued, with the addition of another chicane at the 200R circuit from 2004 onwards. Recent years have seen a number of new venues challenge Suzuka's position as Japan's number one circuit, despite the Honda Yen. The Motorcycle Grand Prix switched to Honda's other circuit - Twin-Ring Motegi while arch rival Toyota won the rights to the Formula One race at its Fuji circuit after an expensive refurbishment. Unexpectedly, the crash in the world economy brought a fresh opportunity for Honda to seize back the Grand Prix. Toyota's financial woes meant it sought to arrange a new deal with Bernie Ecclestone, which would see it alternate the hosting of the event with Suzuka, splitting the costs. In anticipation, Honda began a further refurbishment program, constructing a new pit and paddock area, complete with new garage buildings and an expanded main grandstand. In the end, even this revised deal proved too costly and in July 2009, Toyota announced it would no longer be part of F1. Honda stepped in and negotiated a new deal, which has sealed Suzuka's return for the foreseeable future. 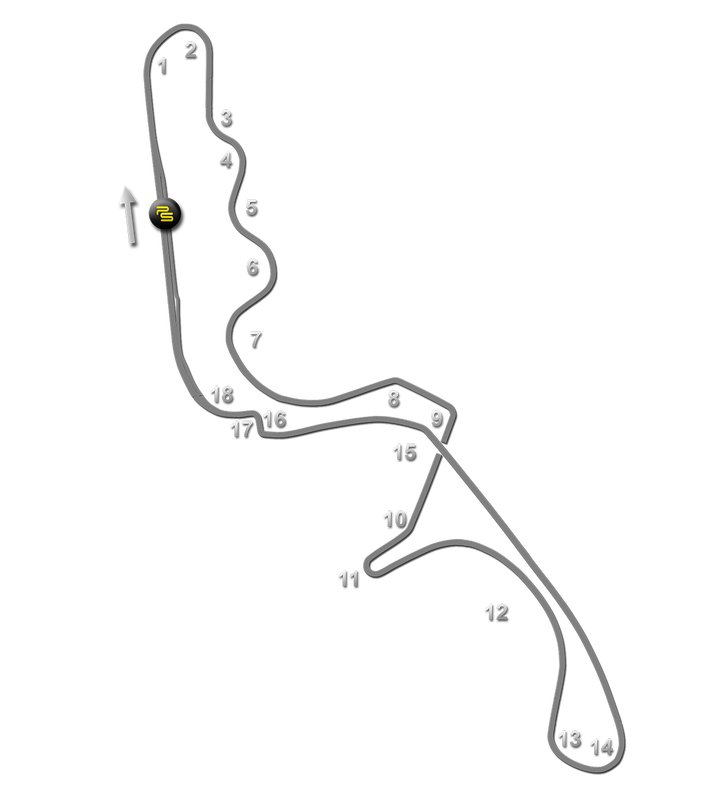 Additional events today hosted at Suzuka include a round of the World Touring Car Championship held from 2011 until 2013 on the shorter East circuit and only using the longer GP course from 2014 – and the ever popular Super GT and Super Formula single seat series.